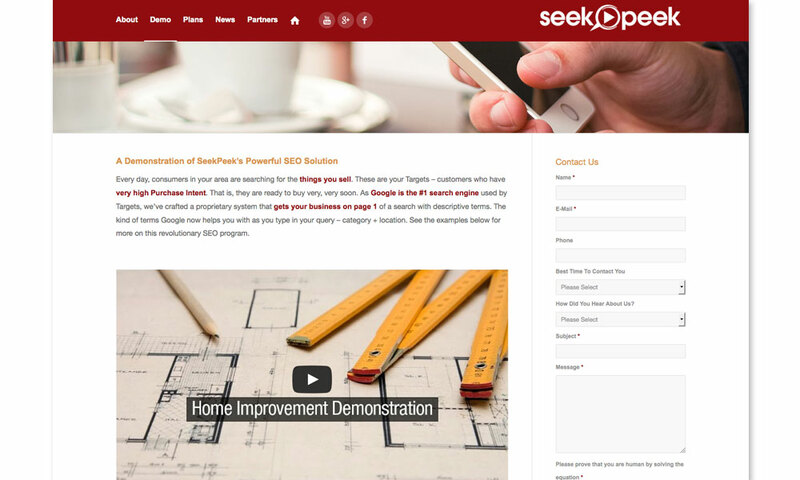 SeekPeek currently provides an SEO marketing solution that utilizes custom YouTube channels and videos to achieve front-page Google search placement for their clients. 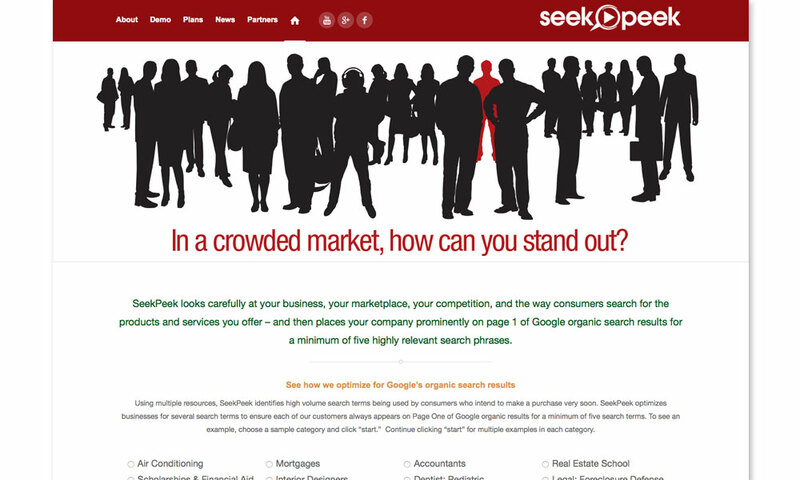 With their proprietary system, SeekPeek offers tiered delivery based on geographic searches (e.g. 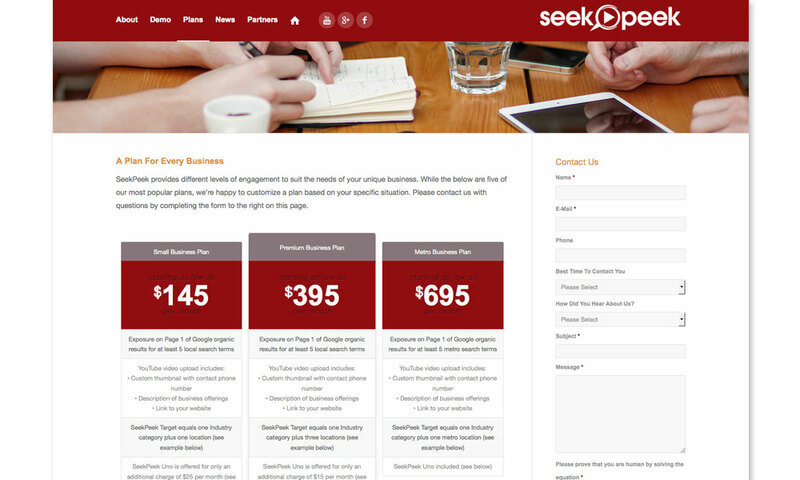 web design san diego) and the client’s choice of monthly results package. 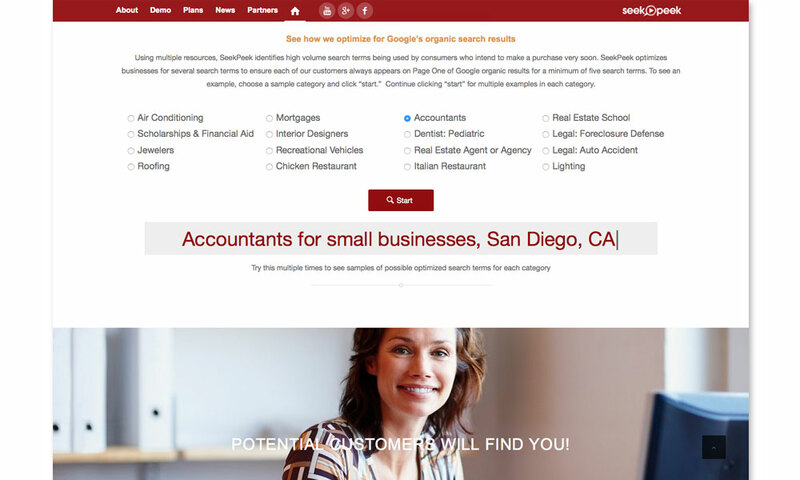 The site features an animated intro and interactive demo that allows users to select categories and be presented with optimized search terms. Additionally, there are a series of demonstration videos linked from a custom YouTube channel BrainShine helped to create.